/* Add a custom bg if it exists */ /* This is your link hover color */ /* This is your link color */ /* This is your visited link color */ Houston Web Design has never been better! Number 1 web design company! Professional Web Design is our game, no two websites are the same! We pride ourselves in providing custom websites for our clients. Especially in today’s mobile device saturated world, companies need to have a mobile friendly website. We take advantage of the latest technologies (HTML5 & CSS3) to provide responsive web designs. Just starting out your business, and don’t have the resources to make your website device friendly? Well, you can still take advantage of our web design. Take a look at some work we’re proud to have been a part of. Afterward you can Request a Quote, learn more about our Web Development process or search through our FAQ for any questions you may have. Pristine Body Studio is a full service waxing salon located in Spring, TX. This client came to us as a small fish in a big pond that wanted to stand out among the other fishes. With the phrase Be Bold, Be Natural and Be Colorful as our foundation for her marketing campaign we created a stunning website that swims with the biggest fish in the pond as if it belonged there all along. 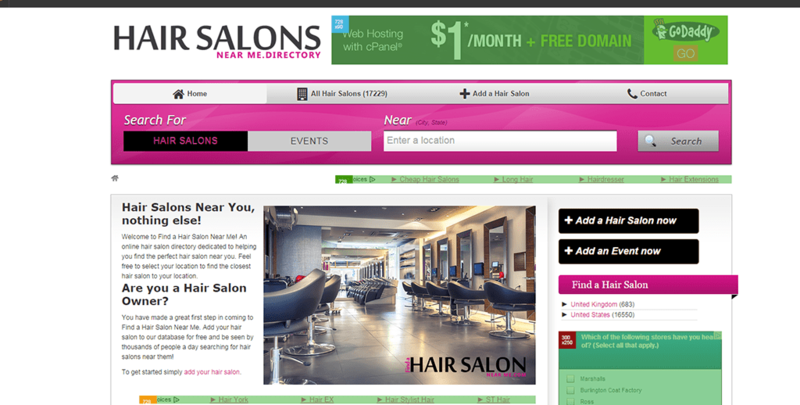 MyShopSalon is a directory site for Barber Shops, Hair Salons and Nail Salons with the goal of creating an easier way for clients in search of grooming services to find and vet potential professionals and establishments to provide said grooming services. MyShopSalon has determined that it is too hard to find some one to provide a simple grooming service without having to go through the trial and error process. After hearing exactly what their needs were to provide the service of locating and vetting professionals it was a simple task to create a mobile responsive website that functions in the requested manner. The Word Church and UZ Marketing teamed up to align the vision for The Word Church’s online presence. After careful deliberation, we are proud to have been able to have been a part of this project. They met us for our web design power. Look at what we did for them! AGE Services happens to be a unique business model that serves the Houston Area (as of now). American Garbage Extractors, under the online moniker We Really Clean, got together with us and an informative website was born. AGE understands the importance of having a web presence. In Real Estate we hear “location location location”. On the internet, we have virtual real estate. It’s all about traffic, traffic, traffic.